Lest we forget, less than ten years ago most mobile carriers were reticent at best about putting ads onto cell phones. Those of you who have been watching the industry long enough to call it “wireless” rather than “mobile” will recall the hand-wringing over “protecting the customer.” Operators were terrified of losing consumer good will, especially in an industry that operates under the constant threat of “churn.” Of course, Apple and the rise of the mobile Web and app platform circumvented that carrier concern, so here we are. Still, carriers haven't gotten over being cut out of the revenue model. And they still fear advertising’s negative impact on the customer experience. According to a Financial Times report last week, at least one major European carrier is planning to install consumer ad blocking by the end of this year. The initial plan is to offer customers an opt-in ad-free service. 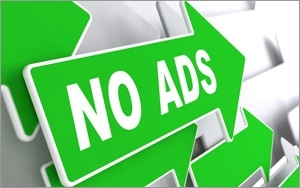 Developed by Israeli tech firm Shine, the ad blocker will affect most banner ads in apps and the Web, although it will not impact many in-feed ad types like Facebook’s native ads. Shine says it is in talks with multiple carriers -- one of which has 40 million users -- about installing the blocking option. The company CMO promises that at least tens of millions of customers will be able to opt out of mobile advertising this year. There are roadblocks galore for this idea, of course. The most important of them will be net neutrality regulations. If carriers/ISPs are suppose to treat all traffic the same, without privilege or punishment, then surely ad traffic from publishers would have to be included. Perhaps making the system opt-in will help carriers get around this problem. If the customer is making the decision, and the carrier is simply providing the tools, then is the carrier culpable for blocking traffic? The motivations here appear twofold on the part of carriers. First, they resent the amount of revenue major players are getting from an infrastructure the operators built. That's why one option mentioned in the FT piece singles out Google. A carrier exec mentions plans to build a “bomb” that would block Google-served ads across its entire network. The aim is to get Google to share some of the revenue. The carrier is even considering blocking Google mobile ads for just an hour a day in order to motivate Google to negotiate. The other motive involves data usage. With the number of rich-media ads -- and now autoplay video ads -- coursing through user devices now, some claim that advertising can chew up data plans. Carriers are the ones who get the complaints. Whether and how carrier-level ad-blocking really catches on is anyone’s guess. It seems unlikely in the U.S. Verizon’s acquisition of AOL clearly was about ad tech. Ironically, Verizon was among the most vocal back in the mid-2000s about going slow with mobile ads. But we may well see the doomsday scenario of operator-level blocking tried -- at least in some other regions. 1 comment about "Euro Carriers Considering Nuclear Option: May 'Bomb' Mobile Ads". Mani Gandham from Instinctive, May 27, 2015 at 10:13 a.m. This basically extortion by carriers and Shine. They're even claiming it by saying they want to squeeze Google for ad revenue. Net neutrality also prohibits any carrier from tampering with what data is moving through their network but this whole situation is ridiculous. If any carrier does do this, the backlash will be swift and massive. Shine should probably try and get a real business model other than trying to extort Google and deprive publishers of revenue.